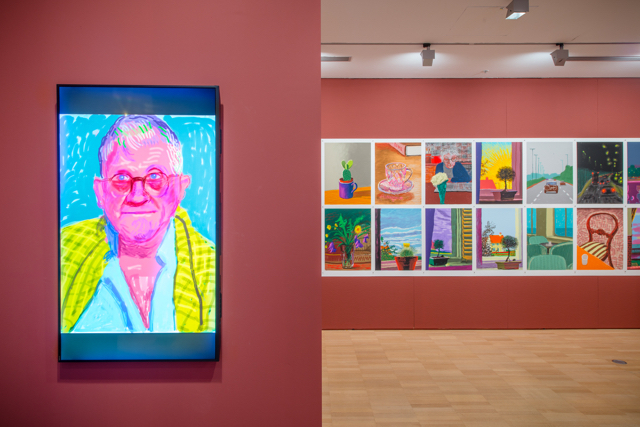 Yesterday, Britain’s greatest living artist David Hockney unveiled his world-premiere exhibition 'David Hockney: Current' at the National Gallery of Victoria (NGV). The exhibition features more than 1,200 works from the past decade of his career, including world-premiere new works embracing new technologies, such as the iPad and iPhone. These include arresting self-portraits created on the iPad, stunning landscapes of his native Yorkshire and dramatic scenes of Yosemite National Park, hundreds of which are presented both on screens and as prints – some at almost 4m tall. The exhibition reveals two world premiere new works including one recently completed video work focusing on his recent iPad drawing practice as well as an immersive room installation, 4 blue stools, a digitally constructed image of Hockney’s Hollywood Hills studio presented as floor-to-ceiling wallpaper with specially-created stools and chairs. 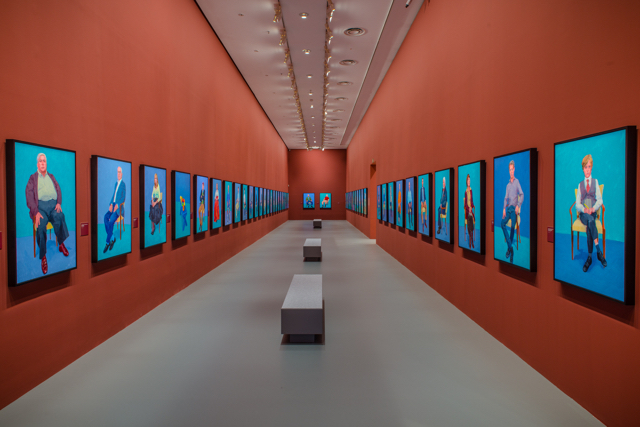 David Hockney: Current also features a 60-metre long portrait hall which houses Hockney’s recent body of painting work titled ‘82 portraits and 1 Still Life’ depicting the artist’s family, friends and notable subjects including Barry Humphries, Frank Gehry, John Baldessari and Hockney’s Sydney-based brother, John Hockney. 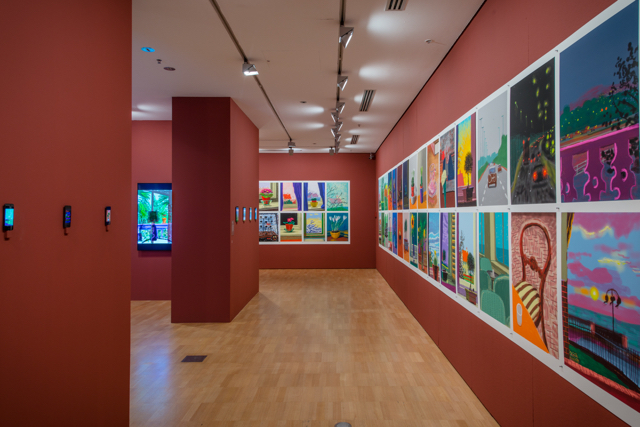 We think little budding artists will love exploring David Hockney: Current which uses a great deal of colour throughout and will also enjoy how the artist used iPads and iPhones to showcase his pieces. It can inspire them to draw nature or portraits either on paper or using their iPad. For more ideas on what to do with kids in Melbourne, head to our blog.